06 Şubat 2019 Çarşamba 11:00 - 4 reads. The wholly state-owned the company Avinor, which has as mission to ensure the whole of Norway effective luftfarttjenester, stings annually by 100 million dollars on marketing efforts for several long-distance bus services to Norway. According to Dagens Næringsliv go langdistanserutene Avinor dreams regarding, inter alia, to destinations such as Manila, Singapore, Seoul, New Delhi, Nairobi, Johannesburg, Honolulu, and Toronto. Millionsatsingen reap severe criticism from several quarters. In a report from the 2018 printer Beyond, inter alia, that Avinor spend too much money on things they don't have anything with. Extensive advertising campaigns falls outside the purpose of the company. Commander in the confederation of Norwegian enterprise Aviation, Torbjørn Lothe, pointed out also to the DN that the state company should refrain from "drive by marketing that could affect competition with existing players." Both are right. 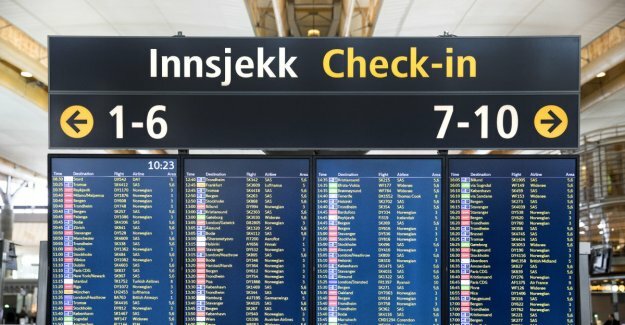 Avinors mission is to ensure the efficient operation and excellent facilities for companies operating routes domestically and abroad and from Norwegian airports - not finance large advertising campaigns in Norway and abroad, as well as the foreign ofce locations, to attract companies. The market and private actors have the responsibility to cover supply and demand, not Avinor. The main criticism , however, come from the environmental organization the Future in our hands, and the leader Anja Bakken Riise. In the DN calls for a larger mandate for the state actor. Before to spend millions of dollars on marketing for the longest and most polluting routes, Avinor should be set harder requirements on the achievement of klimamålene the state also has committed to. as of today, they should earn money, as well as ensure effective and efficient operations for companies that operate in Norway. It is all well and good, but is it the government's task to provide long-distance bus services to China? There is something that skurrer with a policy that does not support klimamålene. Avinors spending stimulates the to something we want less of - not more. The blind spot will possibly of the fact that emissions from international aviation are not included in a country's total emissions of greenhouse gases. The government is measured on the cuts in domestic aviation, while the direkteruta to Honolulu to steer clear of the financial statements. But the greenhouse gases disappear, of course, not because of it. This leads to a serious lack of coherence in policy. If we bring in a policy to limit the emissions of one policy area, but to stimulate to greater emissions from highly polluting activities on the other, weakens we klimapolitikkens legitimacy. It is difficult to set tough requirements for its citizens when the state itself does not seem to cause a consistent line.